The Adventures of Shuggy is not a horror game, one look at the cutesy graphics will be enough to tell you that. 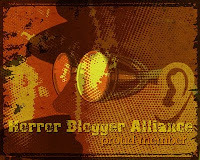 However it is indeed a horror themed game and the inclusion of zombies clinched the deal on me reviewing it. This is a mostly single screen puzzle platformer, to do each of the 100 levels you have to collect all of the green gems contained within them. 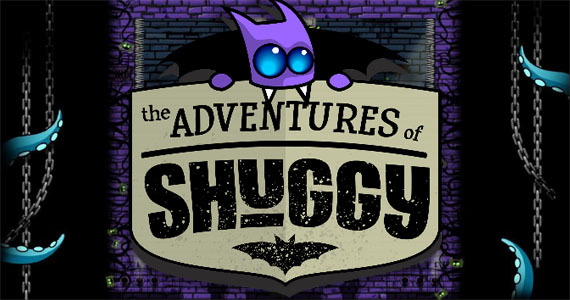 Shuggy is a vampire bat who inherits a spooky old mansion. Upon arriving at the house he discovers it is full of evil ghosts and creatures and so before he can move in proper he must travel around to all corners of the place to evict them. There are five main areas in the game, each of which contain twenty small stages. The main hub area 'The Dungeon' acts as a gateway to the other four areas. Each new area you go to has its own comic book style intro explaining the reason for Shuggy going there. The Boiler Room for example you go to as the house is unbearably hot. In each area completing one level will open up the two closest to it, this means you don't actually have to do all one hundred levels, I think I did around sixty in total. The other areas include a gallery, a graveyard, and a clock tower. Though he's a bat Shuggy can't fly, nor is he able to kill any of the enemies he encounters. Instead each stage has a single mechanic for it tied to the R2 button. Some levels allow you to rotate the screen making walls become floors, others create a clone of Shuggy after one minute has passed who then apes your actions up to that point. There is a lot of variety used here so that each level I played did feel different from the last. 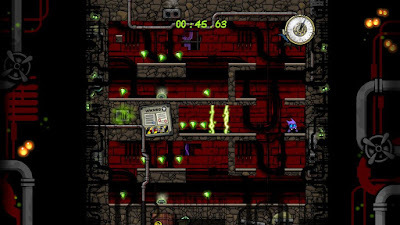 You do need to use your brain a little bit, especially with the levels where you get cloned every sixty seconds as you need to position them on switches as well as avoiding touching them as it is instant death should Shuggy touch any enemy or spikes. 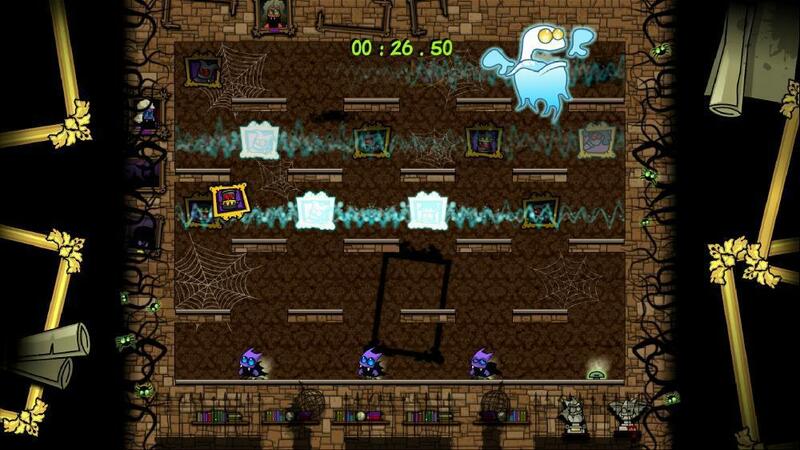 The cartoony graphics are quite appealing though the animation on the enemies can be a bit sparse. For the most part you have wasps, spiked creatures and ghosts to avoid, out in the graveyard zombies make an appearance, though all enemies act the same, they don't attack but should you touch them you die. At least one level has you becoming a zombie, all this entails though is that your character is constantly moving forward. Each of the areas of the dungeon has it's own boss stage, these all do different things and use mechanics learnt up to that point. The boiler room boss is a possessed boiler, you and your clones have to activate switches that eventually lead to it over loading. Another boss sees you winding up a clock to move the clock hands into a position where they reflect bombs dropped from the ceiling back onto your foe. These levels are all quite fun and split up the action a bit. The worst thing by far about The Adventures of Shuggy is the basic plot, the comic scenes are not fantastic quality and is all just an excuse for the levels, the ending in particular was quite underwhelming. The plot is not the reason for the game though, it is the puzzles and in that respect it does well. With co-op play and 100 levels there is plenty to do here, not essential but it hooked me for the two to three hours it took to complete.